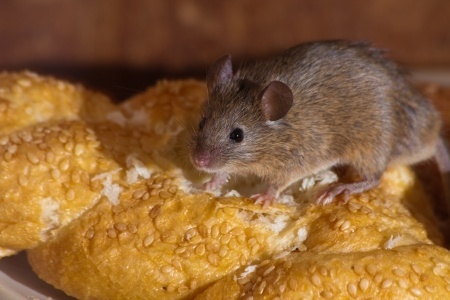 If you have found your home invaded by mice, you're probably wonder "What do mice eat?" There are a number of different kinds of mice that you could find sharing your home with you including the house mouse, white-footed mouse and the deer mouse. Mice enter your home in search of two things....shelter and a meal. Most mice prefer to eat grains and other seeds. In the wild, the seeds of grasses and other plants supply food to help fill up a hungry mouse. Mice will also eat insects, slugs and snails in their natural environment. However, once they move into your home they will become real gourmands. Because of the very small body size of mice, it's easy for them to get into nearly any building they wish. In addition to their size advantage, mice also have a rather unique joint arrangement in their hips that allows them to swivel their hips to fit through spaces that would ordinarily be too small for them to access, such as tiny cracks leading into your house. What Do Mice Eat Inside Your Home? Open up your cupboard if you're in any doubt about what a mouse likes to eat. Just about everything, with the exception of the contents of jars and cans, will probably be looked upon as food by rodents. Basically, if you like to eat a certain food.....so will mice. Pet food is also eagerly sought out by mice, especially since it's usually stored in a way that makes it easily accessible to them. Those of you who have picked up a box of food and found a hole chewed in the back already know that a cardboard container is no protection against the teeth of a hungry mouse in search of its next meal. The question would probably be easier to answer if it was "What don't mice eat?" There's only a few types of food a mouse will refuse to eat, such as food that has spoiled. Just like people, mice will turn up their noses at moldy, rotten food. They prefer fresh food, just like you do, which is what makes your home such a banqueting area for mice. Mice can cause a surprising amount of damage in a cupboard or pantry, eating their way through flour, cookies, rice, beans, noodles and even meat contained inside pouches such as tuna or chicken. Dry soup mixes add flavor to the mouse's diet and cake mixes provide desert. Not only do mice chew into your food supply and nibble it apart, but they also ruin the remaining food with urine and feces. You may not actually detect the urine, but it will be there and it can spread several nasty diseases, as can the droppings. Although you may take the proper steps to exclude mice from your home, it will be nearly impossible to make your home 100% mouse-proof. However, there are ways to keep your food safe from mice. The best way is to use glass storage containers; there is absolutely no way that mice will be able to chew through glass. Metal containers are also excellent at keeping mice out. Tins which once contained nuts, candy or cookies can be recycled for storage use. Metal storage containers are also available in larger sizes. New, clean, galvanized garbage cans can also be used, but never put food into direct contact with the side of the galvanized can. Plastic containers can also be a solution, but keep in mind that a very hungry and determined mouse will be able to chew through plastic. 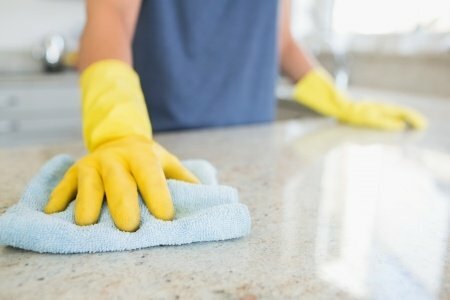 Before you put your food back onto shelves that have been contaminated, be sure to scrub them down with soap and water and disinfect them to remove not only all traces of food, but also all mouse feces and urine. The smell of food and urine will continue to attract mice unless you remove it. Set traps to catch any new intruders, but be very careful with poison bait, especially if you have pets. Even if you have taken the proper steps to protect all your food from mice, be sure that you do the same for your pet's food. Use a heavy plastic storage bin or new garbage can to keep mice away. Any food source will keep them coming back for more, regardless of whether it's human or pet food. Also, never leave pet dishes on the floor with food in them overnight. This will merely provide mice with a midnight snack. Once you have taken positive action to provide rodent-proof storage for your food, you will be able to answer the question "What do mice eat?" by saying, "Nothing in my house."